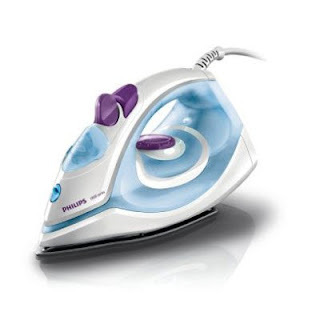 Amazon offering Philips GC1905 1440-Watt Steam Iron with Spray Rs.424 Only. Please wait for some time for the iron to heat up. Only then you can use the steam function effectively. If the iron is not heated enough and steam function is used,it will lead to water leakage. Knob should always be at no steam position when product is not in use. Second and third setting is used only when soleplate is hot. Otherwise leakage will happen.